The summer heat is still upon us for many. 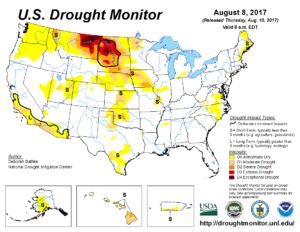 As weather goes, some areas of the country have received too much rain, but for more than 50 percent of the states there is some degree of drought conditions they must contend with. So, with Mother Nature not lending a helping hand it is time to unroll the hose and get to watering. Many gardeners water more often than necessary, which encourages plants to produce shallow roots that make them even more dependent for water. If you water less frequently but for a longer period of time it will help to build a solid and deep root structure for your plants. A thorough soaking 1 to 2 times per week, depending on the temperature, is much better than a light sprinkling every night or morning. 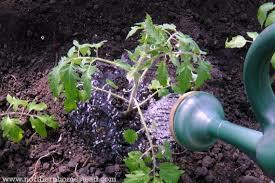 However, if your vegetables are being grown in smaller pots or containers water will evaporate much quicker than for an in-ground garden so you should check the soil on a daily basis as you will be watering your pots with more frequency. Another way to tell if you need to water is to use an indicator plant. An indicator plant is the first plant to wilt when the soil becomes dry. 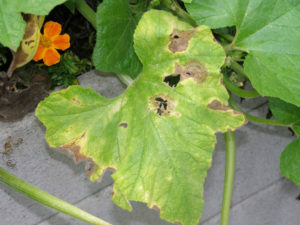 These plants typically have large leaves that draw large amounts of water from the soil such as cucumbers or squash. They can also be the tallest plant in your garden such as pole beans as the moisture needs to travel a long distance to reach the top. 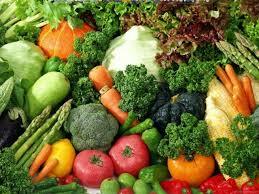 Watering a vegetable garden is different than watering a lawn where you can just set it and forget it. First, we should discuss timing. Early morning or early evening are the best times to water as during the heat of the day much of the moisture that you apply will evaporate more quickly leaving less for your plants. 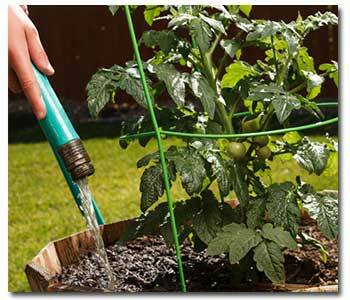 To best water your vegetable garden apply water as close to the roots as you can, and try to avoid getting the leaves wet as that can increase the likelihood of disease. How best to water is just one step in having a successful garden, but if you get this step correct you will be rewarded with a bounty of homegrown vegetables and herbs throughout the season!